When tiling your kitchen, don’t skimp on the grout. New tile grout technology, types, and consistencies all play a role in tile maintenance, lifespan, and aesthetic. At Transworld Tile, we consider tile grout to be one of the most important decisions to make after you choose your tile. 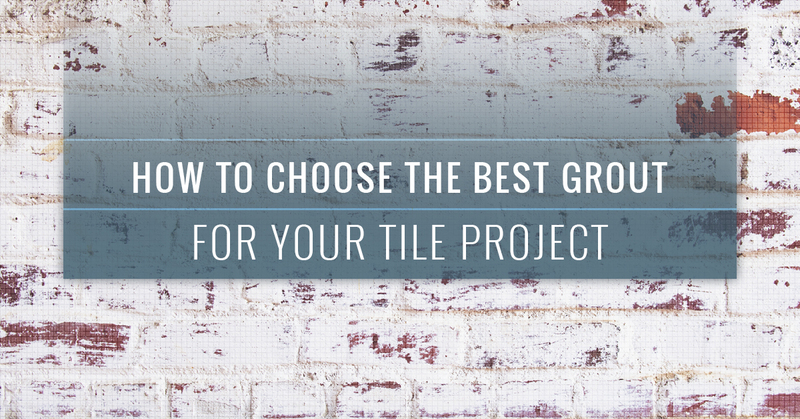 In this post, we’re going to share how to select the best tile grout for your kitchen project. You can give us a call now or visit our showroom today to ask more questions. We’re always ready to assist you in finding the best materials and products in the industry. When it comes to grout, people tend to give it a cursory glance. They’ve spent days, maybe weeks, deciding which tile is perfect for their kitchen, and they don’t want to waste any more energy on making choices. They just want their tile installed. So what happens? The grout choice is a gamble, and in some cases, the tile the homeowner chose, although perfect for their kitchen, is being replaced. Transworld Tile encourages you to consider your grout options before defaulting to the least expensive choice. You’ll find that cement-based grouts are the most common types used in the tiling industry to-date. They are inexpensive, tough, and require little maintenance to maintain. However, you can upgrade your grout and go with an epoxy-based material, which offers a longer lifespan, more water resilience, and a more attractive aesthetic. Typically, the more expensive the grout, the better quality it will be. Nonetheless, you want to consider which grout will fit your style, function, and aesthetic needs. You don’t have to use sanded grout, but choosing to do so adds resilience to cracking or shrinking over time. For example, if your tile joints (gaps between each tile) are at one-eighth of an inch or more, we suggest you consider adding sand to your grout. It’s important to consider the traffic that’s going to be in contact with the tile on a daily basis when choosing the best sealant grout. For example, a tile floor with high traffic will most likely want “penetrating” sealants instead of “membrane-forming” sealants. The membrane sealants tend to peel and cloud-up as time passes. A penetrating sealant will last longer in higher traffic areas. You have three different techniques to choose the best color for your grout. Depending on your style goals, you can match, contrast, or neutralize the color in comparison to your tile. If you’re not sure which color to choose, you can visit our showroom or give us a call, and we’ll be more than happy to help. There are two general shading profiles: dark and light. In relation to color choice, you will want to decide which shade works best with your tile. Contrasting colors tend to need slightly different shades. Matching colors can benefit from light or dark shading. Finally, neutral colors tend to remain near the middle of shading intensity. It’s exciting to be remodeling your kitchen. Tile is a great material to choose! It has hundreds of styles, colors, and designs to mix, match, and contrast the color palette throughout your kitchen. If you’re ready to choose the best tile for your kitchen, give us a call now or visit the Transworld Tile showroom today!